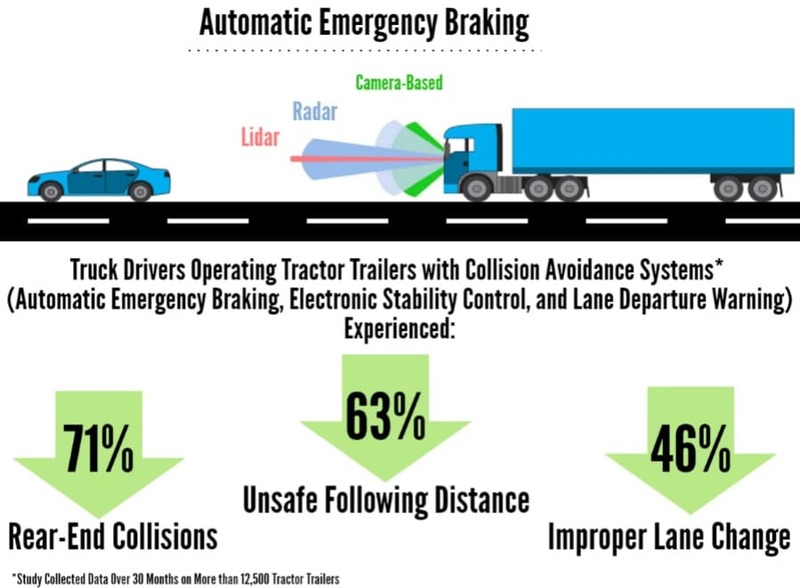 Automatic Emergency Braking (AEB) technology is a proven highway safety technology that could and will save countless lives and prevent injuries. Unfortunately, after years of study and successful use by leading motor carriers, this technology has yet to be required for commercial motor vehicles. As the public endures continued delays to require equipment that is readily available, families across the nation have had to pay the ultimate price. In order to prevent these needless deaths and injuries, the National Highway Traffic Safety Administration (NHTSA) should mandate AEB technology on all large trucks with a gross vehicle weight rating of 10,000 pounds or more. While the agency granted the petition submitted on February 19, 2015 by the Truck Safety Coalition, Road Safe America, Advocates for Highway and Auto Safety, Center for Auto Safety this past October, action is long overdue and we call on NHTSA to produce a final rule. On average, each year, 4,000 people are killed and another 100,000 more are injured in truck crashes. Sadly, these losses are mounting, which is why it is so important for the government to take action. Each year an AEB Final Rule is delayed, more Americans will be killed in large truck crashes. NHTSA estimates that current generation AEB systems can prevent more than 2,500 crashes each year and that future generation systems could prevent more than 6,300 crashes annually. Every year a full implementation of AEB is delayed, research estimates that 166 people will unnecessarily die and another 8,000 individuals will suffer serious injuries. To save these lives, prevent injuries, reduce costs, and ensure families remain whole, we call on Congress to immediately mandate AEB technology in all large trucks.